High quality, full color postcards are a great way to impress your contacts. Postcard printing can be used to provide contact information or promote a new product when you have specific customers or you wish to reinforce your advertising power. 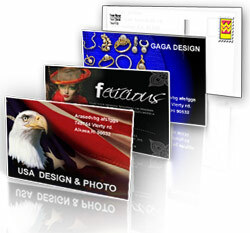 What better way to reach your customers other than with attractive and compact postcards? With several sizes to choose from, you can easily find the right one for your needs. Select from pre-made designs or upload your own Postcard Design. Art-Tec Prints has full color, quality Postcard design ideas that set you apart and give your organization a true professional look and feel.